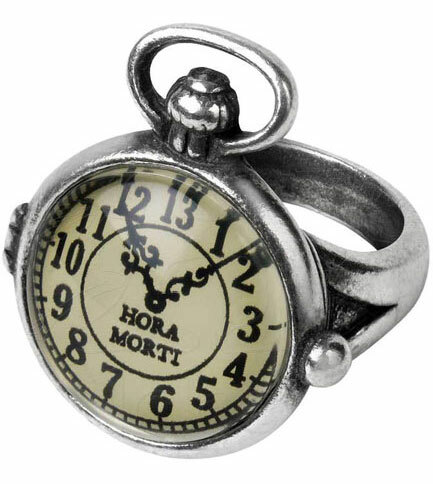 This Victorian faux time piece features a 13 hour lunar time which will have your viewers baffled. 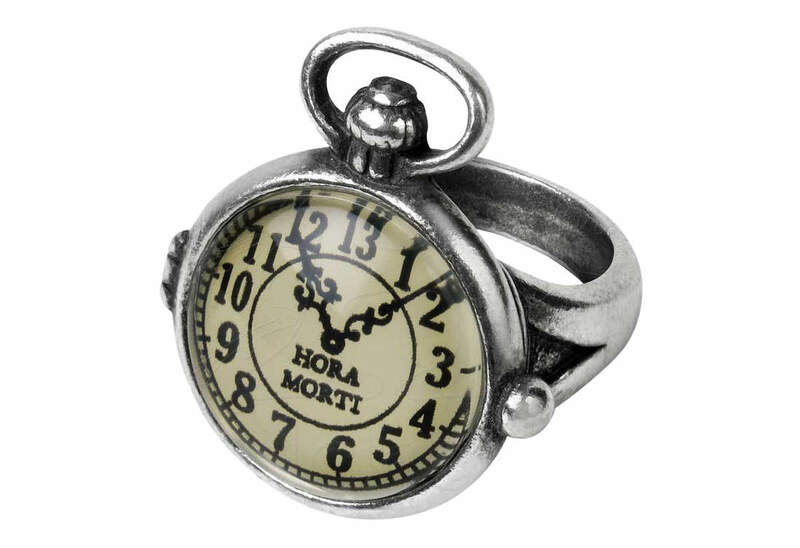 It has an inscription that means "hour of death" when the clock strikes 13 but lucky for you it is stuck on 12. 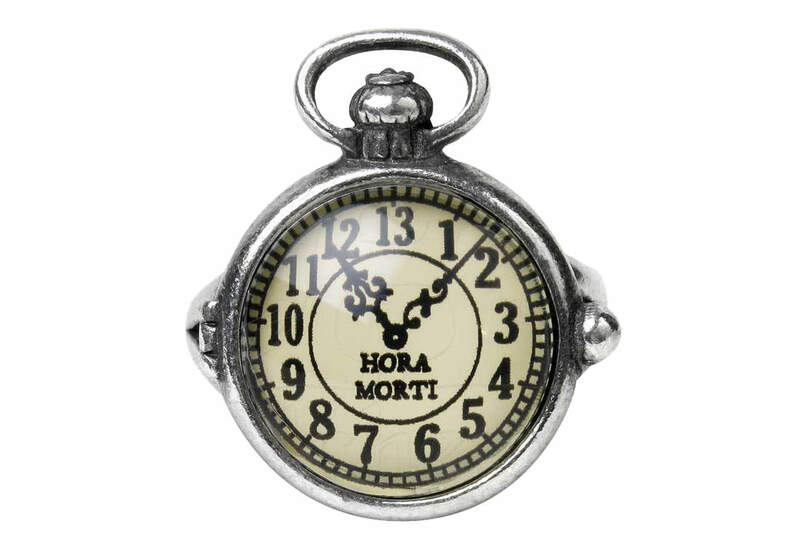 It is shaped like a traditional pocket watch and is made of fine English pewter with crystal. It measures approximately 0.9 inches wide, 1 inches high and 1.1 inches deep. By Gothic Alchemy. Excellent quality and quick delivery: awesome.